The Department of Parks and Wildlife is working towards a healthy, biodiverse and well-managed Western Australian environment. Good management of fires in the environment, the marine environment (including establishing a world-class marine reserve system), and our unique forests and wetlands is vital to achieve this goal. Conservation outside the reserve system is an increasing focus. Threats to our biodiversity occur across all land tenures including parks, pastoral lands, and Aboriginal lands. 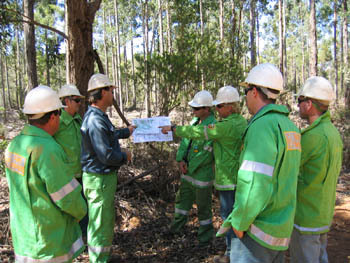 Major strategies, such as the Kimberley Science and Conservation Strategy, therefore increasingly take a tenure-blind approach. This means that to adequately address threats, such as fire, feral animals and weeds, cooperation is needed across property boundaries through partnerships between Parks and Wildlife, traditional owners, pastoralists and other key land managers. Major threats to our biodiversity, both within and outside reserves, include dieback and salinity. From the 2nd of October, applications to carry out a selection of disturbance activities on Department of Biodiversity, Conservation and Attractions’ managed lands can be applied for online via the department’s Disturbance Approval System (DAS). The DAS improves the process to seek permission to carry out work which can potentially affect conservation values, as well as providing a consistent approach with assessing these activities and setting meaningful conditions to a proposal. It should be used for all disturbances (excluding mining) and includes activities such as maintenance or establishment of utilities, roads, phone towers. The system dashboard will show all pending applications and permissions issued. Western Shield is the Department of Parks and Wildlife's lead animal conservation program, and one of the biggest wildlife conservation programs ever undertaken in Australia. Find out more about the Western Shield program.